Radial Drilling Machine – V-Belt Driven – Manwani Machines, Pvt, Ltd.
Closed grain Cast Iron Column, Arm, Work Head & Gears. EN Forged Steel Main Spindle & Pinion. Parts properly balanced prior assembly. Main Gear & Pulley. Categories: Drill Machines, Products, Radial Drill -Machines. Diverse models of Manwani machines Pvt Ltd. V-belt driven radial drilling machines with 25mm, 38mm and 40mm radial boring and varied spindle travel for precision drilling in different kinds of metal pieces. This tool is used for drilling operations. It is mainly designed to make holes in different materials. Our instruments are well-built, dependable, efficient and durable. These devices are created using finest quality material to assure simple operation, low maintenance and high performance. We offer this tool that feature lower noise and reduced vibrations. Our boring instruments are ultra modern and highly accurate. They are manufactured as per the industry standards and general specifications. Several models are available that provide convenience and versatility. Drilling instruments are widely used in many industries. Machining works are of different sorts and making hole is a tricky task that requires accuracy at its best. A drill tool is applied to boring variety of work materials. 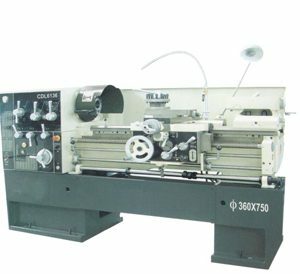 In addition, this instrument is found to make holes in different kinds of work pieces. We offer diverse models of V belt driven equipment with different making hole performance. Our range of workshop components is made of sturdy and tested materials which can cope up with long term production. We also take us customized options from various customers and design as per the required industrial standards. Our focus is to offer this, which is easy to operate and requires meager expense and time for maintenance. Our instrument work with comparatively very less vibration and precision in making hole remains undoubtedly accurate. The models provided by us, are given below with specifications.